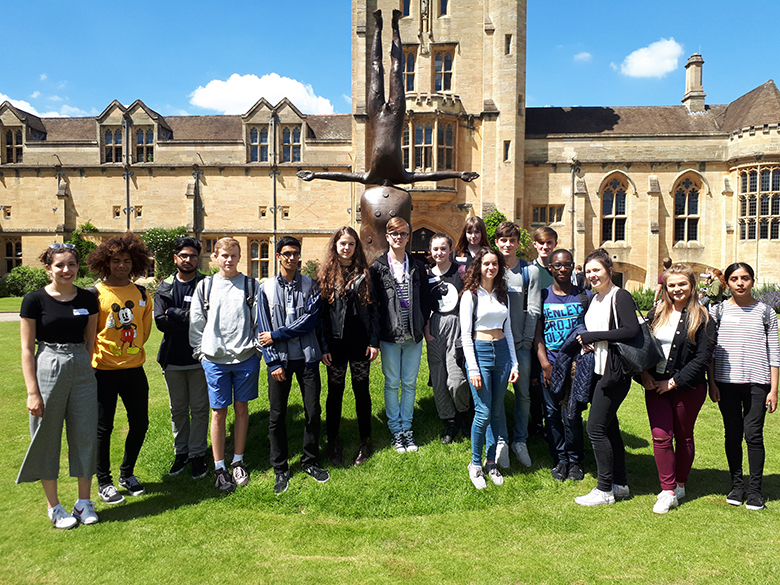 Aspiring students from The Sixth Form College, Solihull visited Mansfield College at the University of Oxford recently for their Open Day. A group of 14 current students made the trip, with a view to making an application to Oxford this autumn. They met up with former College students Erin Minogue (currently at Mansfield College, studying English) and Joseph Peace (at Maudlin College, studying Biology) and the pair showed the current group of students around and offered them valuable advice. The day included an introduction to studying at Oxford as well as question and answer panel sessions covering different subject areas, including STEM subjects like Engineering, Maths and Computer Science, Science subjects like Medicine, Biochemistry and Psychology, Arts subjects like English, Modern Languages and Music and Social Science subjects like Geography, Economics and Philosophy.